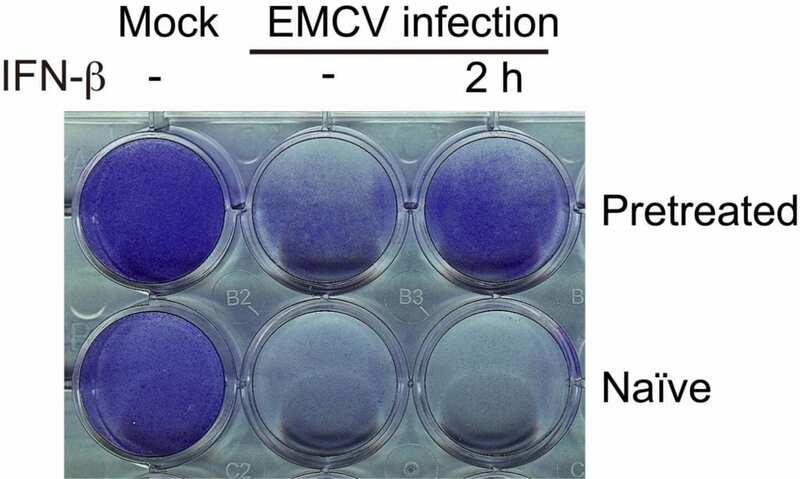 The innate immune system may be able to be trained to react to viral infections more efficiently by repeated exposure to anti-viral signaling molecules. Mammalian cells seem to be able to memorize anti-viral stimulation at the level of DNA-packaging molecules, enabling faster and greater activation of anti-viral genes in subsequent stimulations, according to a study conducted by Hokkaido University Assistant Professor Rui Kamada and Dr. Keiko Ozato of the National Institutes of Health. Kamada explains: "This is the first time that the adaptive immune system was shown to exhibit a memory in gene regulation, and that involves DNA binding to variant packaging proteins." Vertebrates have two systems helping them fend off infections. The adaptive immune system is known to "learn" and "remember" the shape of infecting agents. This is the system that vaccines use to confer immunity, by introducing the body to a pathogen's structure. The older part of the immune system, the innate immune system, has several functions. For example, it causes the symptoms of inflammation that enable the body to clear invading or damaged cells. Another important function of this system is mediated by interferons, signaling molecules that cells release when they are infected by viruses to induce their neighbors to produce anti-viral defenses. However, the innate immune system is not usually thought to have any memory of prior infections. In the study published in the Proceedings of the National Academy of Sciences, Kamada and her group exposed fibroblasts derived from mouse embryos, a typical cell model for this kind of study, to interferons repeatedly. "To our surprise, we found that for about 1,000 genes the response to the second exposure was markedly faster and greater than to the first one. Another 1,000 genes did not show a different response to the second interferon stimulation, or were not any longer activated," says Professor Kamada. Based on these data, the researchers inferred there is specific memory in the innate immune system. Stepwise exclusion of other possibilities enabled the researchers to prove that the cause for this memory is a change in the use of DNA-packaging molecules. DNA is wrapped around proteins called histones, and the variety of histones and their modification determine whether or not a certain stretch of DNA can be accessed quickly. After the first encounter of interferons, the fibroblasts swapped the type of histones around which the roughly 1,000 up-regulated genes are wrapped, enabling these genes to be activated faster. The group showed that this modification was conserved even through multiple cell divisions. There had been some previous indications that the innate immune system might after all contribute to some immune memory. However, this study is the first to provide a clear mechanistic explanation for a trained innate immune response, namely a change in DNA packaging by histones.